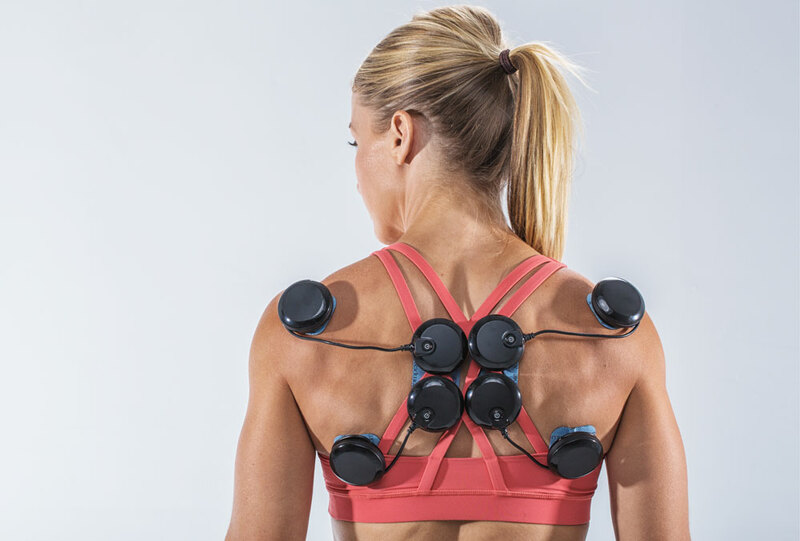 At Compex, we know we’re not your only electronic fitness device. 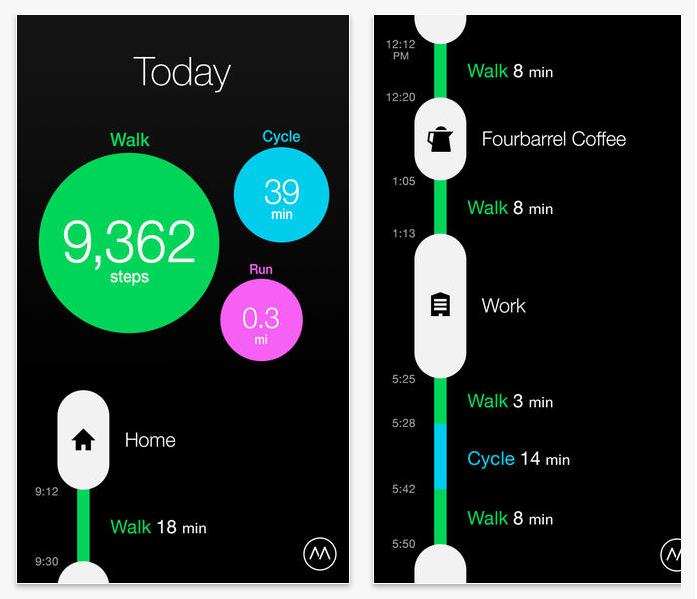 Nowadays, you can get customized workouts, track your diet, map your morning run and more right from your phone. According to Business Insider, health and fitness apps grew 62% in usage between December 2013 and June 2014, compared to apps overall which grew just 33%. More and more people are using their technology to live healthier. 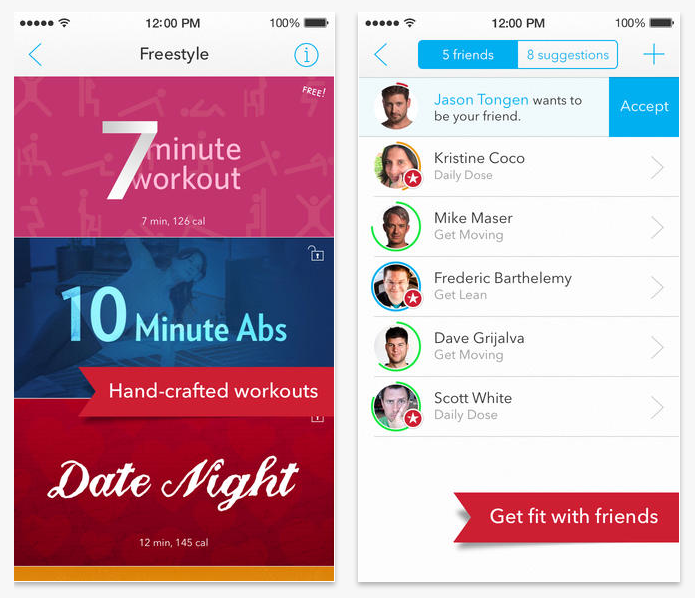 With so many different fitness apps on the market, we’ve put together some of our favorites. Fitstar is the perfect app if you’re looking for a training program. 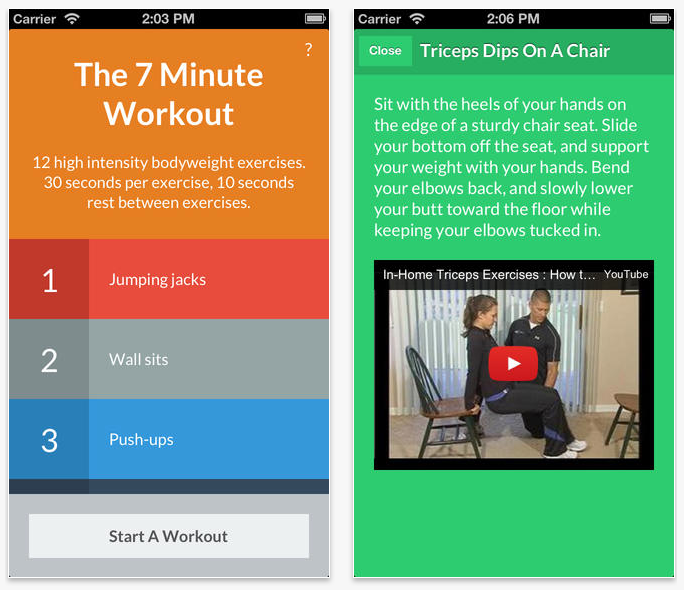 The app designs personalized workouts for you and tracks your progress. Adjustments to the workouts can be made in order to accurately track your input and results. Share those results with friends and family for encouragement or to have them help you stick to your goals. Fitstar also ties into wearable devices like the Jawbone Up or the FitBit. 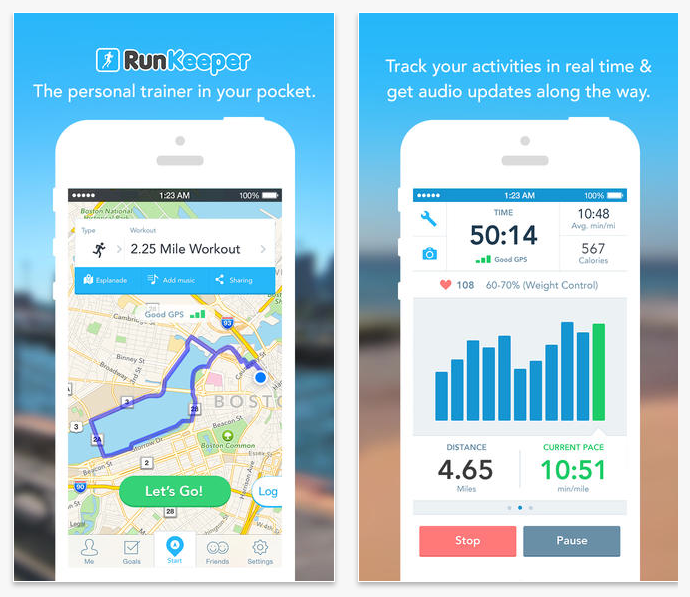 If you’re an avid runner, you probably already know about RunKeeper. One of the most popular running apps, RunKeeper features everything a runner needs. It tracks your distance, monitors your speed, maps your location via GPS and keeps tabs on your caloric output. If you’re into other outdoor activities like swimming, cycling or hiking, you can track those activities with RunKeeper as well. Staying fit is more than just going to the gym a couple times a week; it’s a lifestyle choice. Your everyday activities can contribute to your overall fitness. Track them all with Moves. Not only can you track your workouts but also how many steps you take and calories you burn doing things like running errands. There are many benefits to practicing yoga from building strength and increasing flexibility to relaxation. If you find you’re not making it to your classes as much as you’d like to, try Yoga Studio. The top-rated Yoga Studio app is designed for all levels and has over 16 hours of classes ranging from 15 minutes to an hour. Each class has modifications if you need them. This is the perfect way to work on your practice wherever you are. Sleep is arguably one of the most important parts of being healthy. Sleep is not only when we recharge, but also when our muscles rebuild after workouts and our brains store all the information we absorb during the day. Sleep Cycle is a bio-alarm clock designed to help you understand how much sleep you’re actually getting and wakes your at the best time. 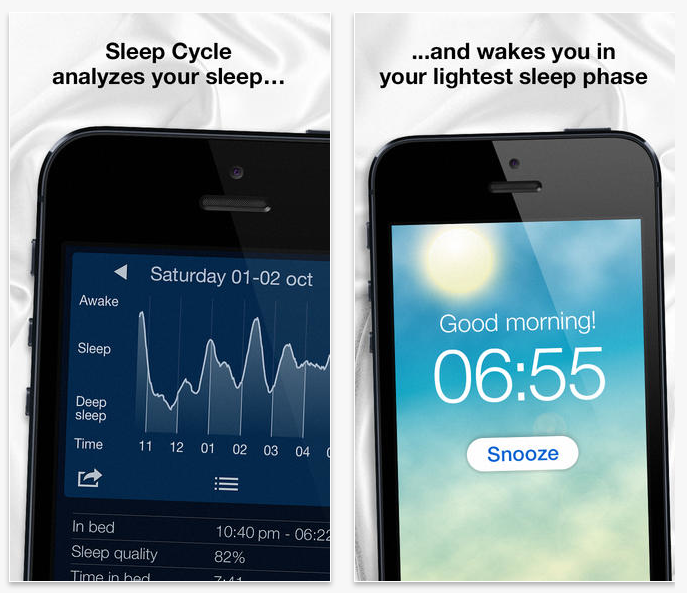 It analyzes your sleep patterns and wakes you when you are in the lightest sleep phase. Waking up during the lightest phase of your sleep cycle helps you feel refreshed and relaxed, ready to take on the day. Currently one of the top fitness apps in the iTunes Store, 7 Minute Workout Challenge gives you no excuse to skip your daily workout. Pioneered by Chris Jordan, the idea is to work out smarter not harder through high intensity interval training. The app comes loaded with 36 exercises and 12 additional workouts that you can customize and modify to create your own program. Losing weight or maintaining your weight can be a challenge for some. 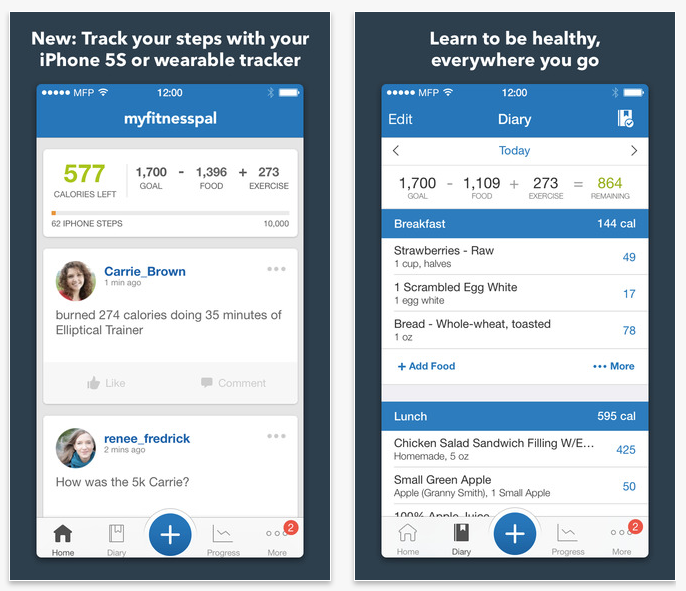 MyFitnessPal makes it a little easier. Track your calories and see where you need to make changes in your diet. The app has over 3,000,000 foods loaded into it so finding what you had for lunch should be a snap. Any apps we missed? Is there a fitness app you’ve been using that you’d recommend? Let us know in the comments.